Sometimes it’s the smallest spaces that have such a big impact. 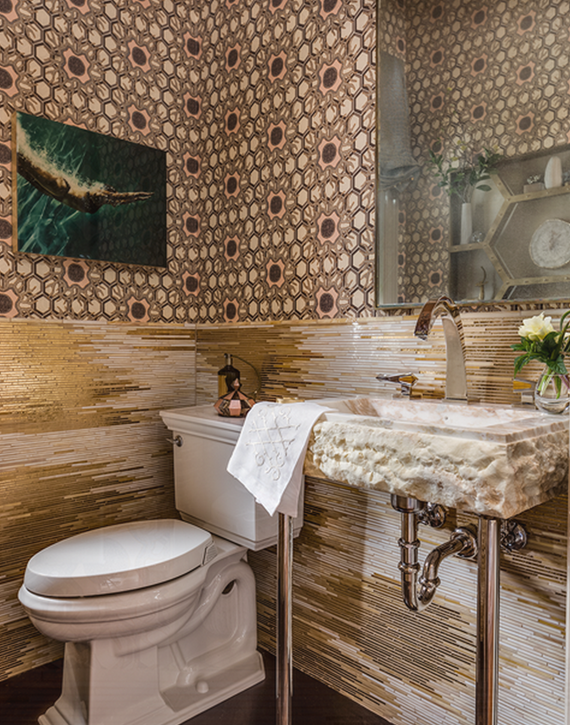 That was the case with the Powder Room by Julie Rootes Interiors located just off the foyer in this year’s San Francisco Decorator Showcase San Francisco Decorator Showcase. 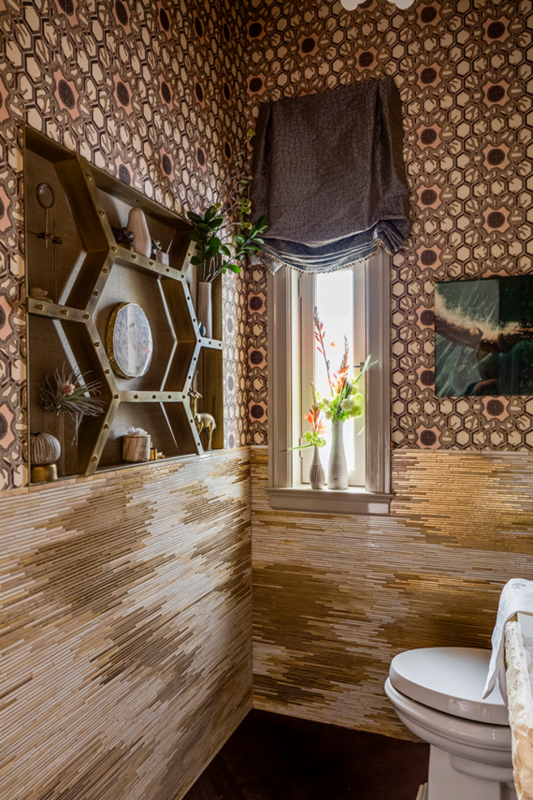 Julie lined the walls in Jim Thompson’s “Tibetan Sun” silk fabric – rich in earthy color and chic honeycomb pattern (personal fave). 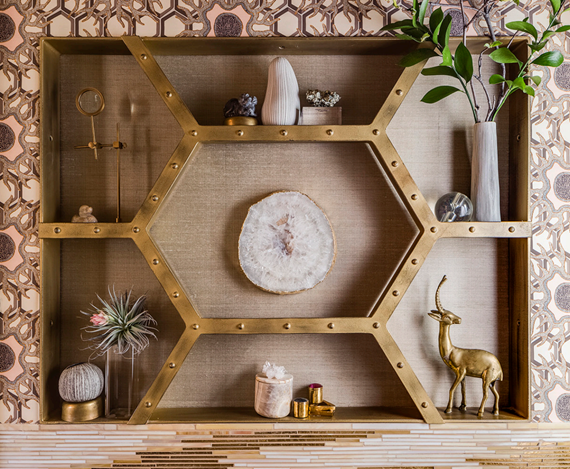 The warm gold and chocolate brown wallcovering is paired with luxe 24-karat gold and onyx mosaic glass tile and a fabulous hexagon niche in gilded metal. The raw edged calacatta marble vanity delivers an additional opulent touch. An unexpected image of a person swimming adorns the space and was commissioned specifically for the room by artist Eric Zener. Thanks for such a fabulous write up, Cristin! I loved getting to meet you at press day and I’m so happy you loved the space. 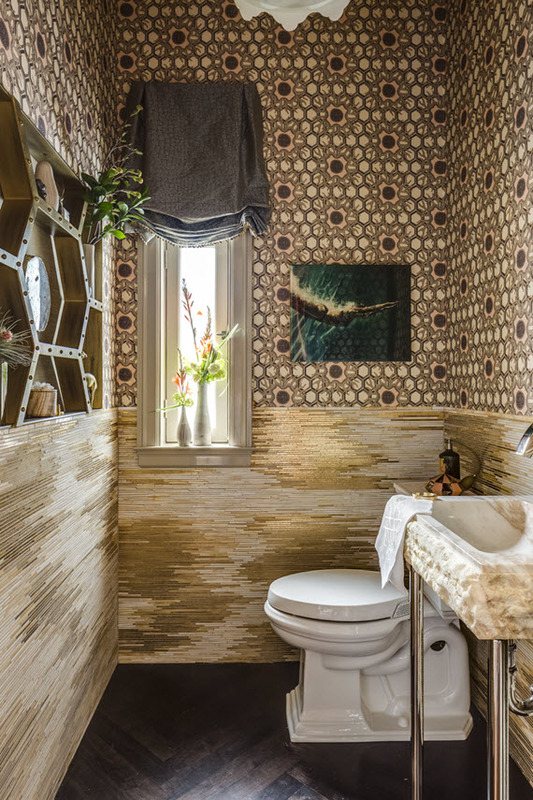 This is one fancy powder room! I love the gold theme going on. Totally obsessed with that awesome sink too.